The CDC Foundation's Emergency Response Fund enables CDC to respond immediately to changing and unpredictable circumstances and needs. 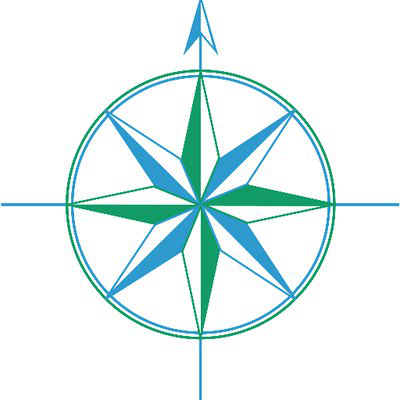 This fund allows CDC to better prepare for and respond to crisis situations in the United States and globally by providing flexibility to meet both immediate and planned needs that would not otherwise be readily available through federally appropriated funds. In the past, support for the CDC Foundation's emergency response efforts has provided essential funding for CDC in response to many crisis situations, including the West Africa Ebola response, the Zika outbreak, Haiti earthquake, Southern Asian tsunami and Hurricane Katrina. The speed and flexibility provided through this funding saves lives. 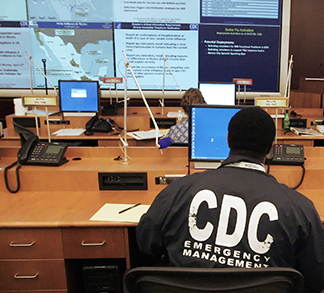 The CDC Foundation's Emergency Response Fund provides immediate, flexible resources to CDC experts addressing emergencies that affect the public’s health—whether natural disasters, emerging disease outbreaks or bioterrorist threats. Support through this fund from organizations and individuals provides speed and flexibility, which are essential elements in saving lives during crisis situations. In the past, support for the CDC Foundation’s emergency response efforts has provided essential funding for CDC in response to many crisis situations, including the West Africa Ebola response, the Zika outbreak, Haiti earthquake, Southern Asian tsunami and Hurricane Katrina. Following the events of September 11, 2001, and the anthrax attacks, the CDC Foundation established the Emergency Response Fund to give CDC what it needs most in an emergency: flexibility and access to immediate resources. Federal dollars, even during emergencies, are tied to restrictions and purchasing procedures that can limit CDC’s ability to act quickly. The Foundation’s Emergency Response Fund gives CDC a backup source of funding to fill critical gaps and meet immediate needs and provides donors with the opportunity to help support efforts that address critical, in-the-moment needs that can help bolster population health and save and improve lives. The fund was activated for the first time in 2005 to support the public health response to Hurricane Katrina in the Gulf Coast region. Donations to the fund from Kaiser Permanente, the Robert Wood Johnson Foundation, and other organizations and individuals enabled the CDC Foundation to immediately respond to requests for help from CDC and their public health partners in the Gulf Coast region. The Foundation was also able to provide new facilities for t wo public health agencies on the Mississippi coast, replacing buildings that had been destroyed by the storm. Activating the fund gave CDC responders access to special credit cards connected to the fund, enabling them to immediately purchase the equipment, supplies or services they needed to respond to the outbreak in the field. Previously, the CDC Foundation had two emergency response funds—a Global Disaster Response Fund and a U.S. Emergency Response Fund. As experience has shown, domestic responses can quickly intersect with global responses. Therefore, these funds were merged in 2017 to create a unified approach to emergency responses.